Our Level 1 through 8 Team Program is part of the Jr. Olympic Gymnastics Program under the governing body of USA Gymnastics in the United States. This program is a progressive program teaching routines and skills that team members will continue to use throughout gymnastics. They will compete in the Fall & Spring Seasons. Girls must have the skills needed prior to entering a level. While leaning routines they will learn new skills to get them ready for the next level along building their self esteem, confidence and character. Always Reaching for the Top!! 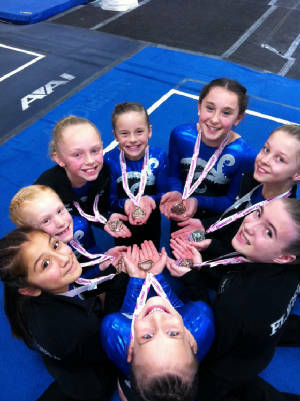 Our Level 1 - 8 Program introduces the competitive world of gymnastics to your gymnast. The team will compete in the Fall and Spring seasons. Competitions will vary in number year to year. Meets are in various gym around the Seattle area and 1 out of state meet. Entry onto this team is by invitation only. 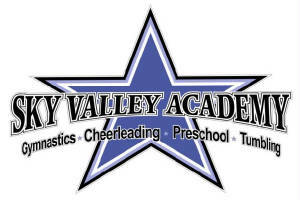 If you feel your gymnast is ready or you would like more information please see our front office. Thank you!